Kimberly Oaks Livonia Michigan is close to various up-to-the-minute local conveniences. It is suitably located a few minutes away from Rotary Park, Laurel Park Place Mall, I96 Expressway, Livonia Michigan Recreation Center, St Mary Mercy Hospital, and more. Also many local residents of Kimberly Oaks will mention the neighborhood is walking distance to the annual Livonia Spree carnival and fire work show. If you or anyone you know is considering buying or selling a home in Kimberly Oaks please feel free to contact us anytime at BobandTeena@Yahoo.com or call direct at 734-578-6561. We would love to assist you in the real estate buying and selling process. Kimberly Oaks Estates is positioned in gorgeous Livonia Michigan north of I96 expressway and east of Farmington Road. If you need the convenience of moving about quickly with terrific access to nearby local expressways, Kimberly Oaks Estates is the place to be. For example, in 20-minutes, you can be in Downtown Detroit or in approx. 30-35 you can be comfortably in Ann Arbor. Kimberly Oaks Estates has roughly 690 well kept homes within its neighborhood borders. The city of Livonia is situated in the Northwest section of Wayne County Michigan. The country is considered part of the Detroit Metropolitan vicinity, placed roughly 22-miles northwest from downtown Detroit and just about 25-miles to Ann Arbor. The size of Livonia is an area of around 36-square miles and a vast number of inhabitants of Livonia adore their city. Don’t be fooled by the size of the city, many residents take pleasure in a tight community with plenty of city conveniences. In fact, there are many who view Livonia schools as some of the most desired schools in the district, providing a broad-range of educational prospects for their students. The city has vast access to nearby expressways, shopping, ski mountains, nature, parks, and beaches, in addition to expressways, ski mountains, lots of shopping and more. 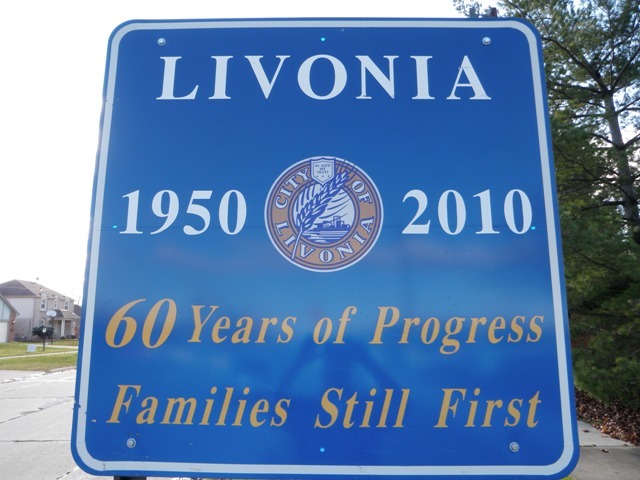 Starting from the earlier days of Livonia along with the Old Rosedale Gardens entryway to the well-populated neighborhoods of today, Livonia has retained the essence of a quaint town. For instance, there is no structured downtown per se. Nonetheless, the town is filled with a fantastic choice of stores and residents are thrilled with the selection. The city has a broad range of home types to fulfill the idea dream home of most people. You will find traditional abodes originating from the city’s past, to more sophisticated styled residents in the freshly developed districts. Livonia is famous for its many amenities such as incredible shopping, high-quality city services, top-rated schools, and wonderful location filled to the brim with conveniences. For instance, for those who love to shop, the Livonia Wonderland Shopping Center located at Middle-Belt and Plymouth Road will satisfy any enthusiastic shopper’s taste. Moreover, the Livonia Rec Center is nearby and laden with exercise equipment, swimming pools, and much more. In addition, there is an abundance of lovely parks like Rotary Park, Bicentennial Park, Veterans Park, and more! Public schools in Livonia (Kimberly Oaks Estates uses the Livonia public school district) inhabit the vicinity in southeastern Michigan Metro Detroit, providing for the majority of the city of Livonia and the northernmost segments of Westland. The district has changed their curriculum to a four-tier system with K-4, 5-6, 7-8, and 9-12 grade-levels. Before 2006, courses were K-6, 7-8, and 9-12. From the 1979 to 1980 school year, those in the 9th grade were shifted over to the high schools. Before then, junior high schools incorporated grades 7 to 9 and senior high schools included grades 10 to 12. Categorizing the city’s school districts is somewhat daunting as everything ostensibly changes consistently. Many possible Livonia residents desire a home within the vicinity of a particular high school. It is best to take the time to do your homework when it comes to checking out the Livonia high school area. For example, Livonia Stevenson High School has the typical zip code that is utilized for home search purposes which would be 48152. While the zip code 48154 and a portion of 48150 may fall in Livonia Churchill High School boundary. For the most part (other than just a sliver of some 48154) Livonia Franklin high school will be in zip code 48150. 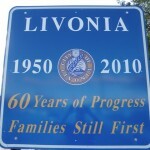 Many of the 48152 inhabitants attend the Livonia Stevenson-High School District and others may not depending on if the home falls in the Clarenceville school district. The boundaries for Stevenson are usually North of five-mile up to eight-mile and east of Haggerty up to just east of Merriman Road. The northeast section of Livonia consists of the Clarenceville school district. Top rated schools in Livonia include St Paul’s Luthern School, Hoover Elementary School, Stevenson High School, and Cass Elementary School. There are thirty-seven K-12 schools in Livonia consisting of twenty-seven public schools and ten private schools. Livonia public schools are part of three districts, Livonia School District, Clarenceville School District, and the American Montessori Academy School District. The area provides a local college within the vicinity called Schoolcraft College. This college is located on the very west side of the city. 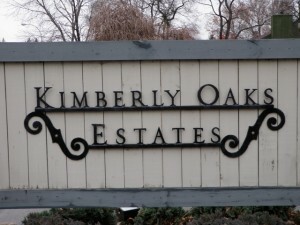 Kimberly Oaks Estates-Livonia Michigan is a surprisingly affable area with everything you can ask for in a neighborhood. With its small town feel, the district has continued to be a great place for families, singles, and seniors alike. There’s everything from fantastic shopping, health facilities, and high-ranking schools.